Next Article What is The One Book You Want To Read; But Haven’t? I just purchased the Chronicles of Narnia book set not too long ago! What is that Inkheart series like? It is about a man who when he reads it brings certain people out of the stories, and into his world. There is a movie for the first book, Inkheart, starring Brenden Frasier. 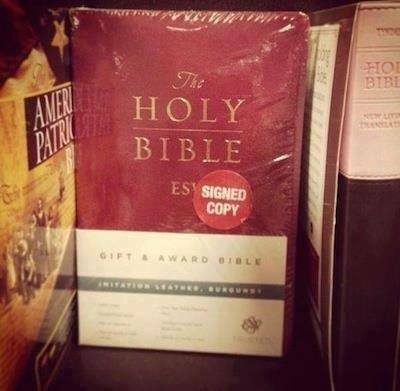 You may want to give that a try, but of course the book is better! I love the movie too! 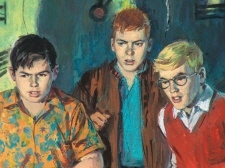 Are you a fan of movies based on books? I have never seen a movie that was better than its book, and I don’t think it is even possible. But I will watch all of the Harry Potter movies, the Hobbit and LOTR movies, and the 3 Narnia movies that were made. Nothing beats a book though! 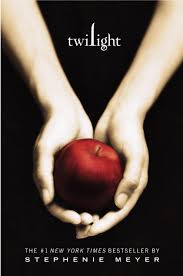 I fell in love with the Twilight series. I was one of the lucky ones that caught on before the rest of the world did. Then the movies ruined it. But I have to strongly disagree with you on Hunger Games. lol I loved the books and I love the movies almost as much. I tried to read the bible…but I always get really sleepy from being so bored. I’m a horrible person. 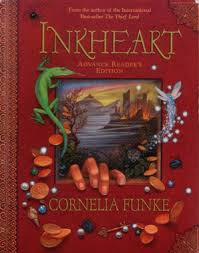 Also, I really need to read the entire Inkheart series! I read the first book and just could not get into the second. I have the whole series…I just haven’t read them yet. My girls were mad at me when I said the movie was cheesy 🙂 But I still bought it when it came out on DVD, and watched it with them again 🙂 I think Inkspell took me a bit to get into it as well. LOL Why didn’t you stop after the first 50 Shades? And I must disagree about The Hunger Games. I found Katniss to be pretty pathetic in the books, especially outside the arenas, and Jennifer Lawrence has given her a little more of a spine. Not much, though–I’m still frustrated. Once I start something I try to see it through to the end! LOL. I found Lawrence’s acting to be the most frustrating thing in Mockingjay; like she was trying too hard. I still cringe every time I hear “If we burn, you burn with us”. Thanks for sharing ! During my teen years, Twilight was definitely one of my favorite book sagas, and I prefer to be open about it instead of hiding it as if it was some sort of shame 🙂 [I have a thing for vampires, I must add]. 50 shades is simply trashy literature, as I like to call it. It was written to sell. I’ve read the books so I could have an opinion about them, and I believe they are so successful because they materialize the very desirable idea of a women being able to change a man. I’m usually a one-read kind of guy, except when it comes to Tolkien. I read The Hobbit and LOTR five times between the ages of eleven and fourteen, then moved on to the Silmarillion, though I lost my head of steam when I got into Unfinished Tales and haven’t pursued that vein of stories completed by his children. I picked them all up again over twenty years later and found even more details I missed. I have some books that are long overdue for a revisit as well! I think I should finish reading ‘Zen & the art of motorcycle maintenance’. I can read Cure by Jo Marchant & Thinking Fast & Slow by Kahneman both non fiction.